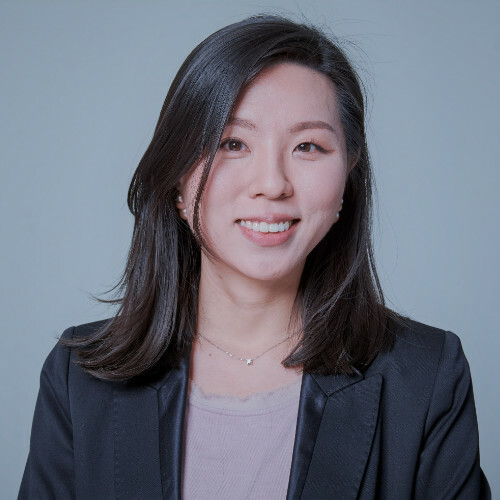 Jeeeun is a Full-time MBA candidate with a background in infrastructure development. I started my career as an energy infrastructure project developer in Samsung C&T Corporation in Korea. Thanks to my job, I had the opportunity to travel many countries I’d never been to before. It felt like the whole world was just around the corner. When I was at Samsung, I had close contact with international financial institutions and partner companies on a daily basis. Surprisingly, however, I hadn’t much chance to visit Germany and this is the reason why I always wanted to experience Frankfurt am Main, the financial capital of Europe. I was fortunate to get a chance to start a new life in Germany. At first, everything was very unusual for me, but as time went by, I became eager to explore and be a part of the German society and continue my career in this country. To achieve this goal, I thought that I need to upgrade myself. My career at Samsung required me to be fluent in foreign languages and understand various cultures, so my Bachelor in linguistics and literature and Master in Spanish simultaneous interpretation helped a lot in my role as an international project developer. But on the other hand, I’ve always had a thirst for the business studies. I was building my own house as a project developer, but the foundation of my house needed reinforcement. I thought that a solid basis of knowledge in business studies would boost me up to become a more profound project developer with a deeper insight. This is why I was determined to apply for the Full-time MBA program. In this regard, I consider I am in a right place. It is indisputable to seek a business study in Frankfurt, the most prominent economic city of Europe. Moreover, I am certain that Frankfurt School of Finance and Management, one of the top ranked business schools in Germany, is offering me a good quality of learning experience and German excellence. When I think of Frankfurt School, these are some key words that come to my mind. Finishing the MBA program in a year is not an easy task. First, the class schedule is very packed and it means that there’s a lot of presentations to prepare and group discussion to participate. At the same time, students engage in many events and workshops, while looking for job opportunities. Sometimes, I feel overwhelmed by hectic days at school. In this sense, it is very important to manage time wisely and maintain good physical and mental conditions. I try to do sports regularly and have some time outside of school to enjoy sun and have coffee time with my classmates. This does create a difference and I regain my strength to start again. The MBA can be challenging. However, I am confident that I am learning, experiencing and evolving every single moment. So don’t be afraid to step up and start your exciting Full-time MBA program at Frankfurt School!